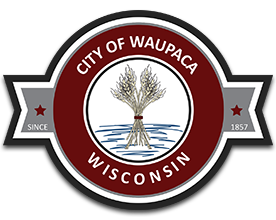 Both installments of the City of Waupaca taxes are to be paid to and collected by the Waupaca County Treasurer at the Waupaca County Courthouse, 811 Harding Street, Waupaca. Hours: Monday thru Friday from 8:00 a.m. to 4:00 p.m.
To avoid delay in processing, please notify your lender to mail your payment directly to the Waupaca County Treasurer’s Office at the above address. If you have any questions, their phone number is (715) 258-6220.